The GSS342 is capable of flowing 255 liters per hour (LPH) making it unsurpassed for performance and typically able to support up to 500hp. MAZDA MX5 1.6 &1.8 Mk1. Genuine Walbro . TI Automotive performance fuel systems are easy to install. The GSS341 is capable of flowing 255 liters per hour (LPH) making it unsurpassed for performance and typically able to support up to 500hp. 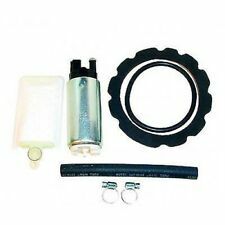 The installation kit allows you to quickly & easily install the Walbro GSS341 fuel pump into your Subaru. The GSS341/342 is capable of flowing 255 liters per hour (LPH) making it unsurpassed for performance and typically able to support up to 500hp. # GSS342 EVO INSTALLATION KIT INCLUDED! Walbro Intank Fuel Pump 255LPH High Pressure (Universal). 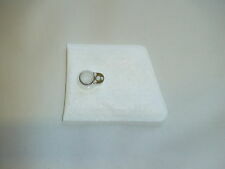 GENUINE WALBRO GSC404. Rated at 80lph @ 2.4 amp @ 250 kpa. GENUINE WALBRO USA! What are we known for?. It is your responsibility to make sure you are purchasing the correct item. Orders cannot be collected. REPLACES POLARIS OEM # 2204726 2204727. Design: Intank. WALBRO GSC404. GENUINE WALBRO USA! Country of Manufacture: USA GENUINE WALBRO USA! 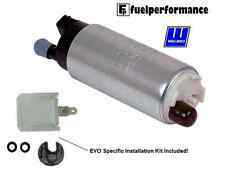 FUEL PERFORMANCE FOR ALL YOUR FUEL PUMP NEEDS GLOBALLY! Nissan Rb25det R33 GTS-T with factory intake manifold or forward facing intake manifold only!This is a rare kit in which you will not find a top-feed fuel rail kit that will fit the factory r33 gts-t intake manifold anywhere in the world! 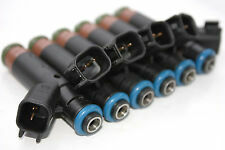 Looking for bigger injectors for your high powered r33 rb25 Nissan?. Look no further. 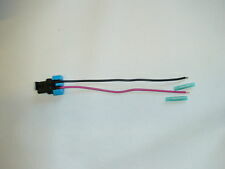 No cutting or soldering wires necessary! This Kit will fit Nissan Rb25det R33 GTS-T with factory intake manifold or forward facing intake manifold only! Nissan Rb25det R33 GTS-T with factory intake manifold or forward facing intake manifold only!This is a rare kit in which you will not find. Nissan with R33 GTS-T RB25DET engine with factory or forward facing intake manifold.Will not fit GReddy intake manifold. Walbro GSS341 Intank Fuel Pump 255LPH High Pressure (Universal). The GSS341 is capable of flowing 255 liters per hour (LPH) making it unsurpassed for performance and typically able to support up to 500hp. The GSS341/342 is capable of flowing 255 liters per hour (LPH) making it unsurpassed for performance and typically able to support up to 500hp. # GSS342 EVO INSTALLATION KIT. Walbro Intank Fuel Pump 255LPH High Pressure (Universal). The GSS342 is capable of flowing 255 liters per hour (LPH) making it unsurpassed for performance and typically able to support up to 500hp. Genuine Walbro . TI Automotive performance fuel systems are easy to install. 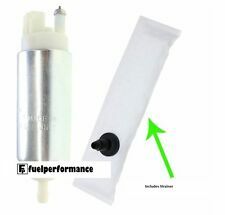 New Genuine Walbro / TI 465 fuel pump F90000267 with installation kit. 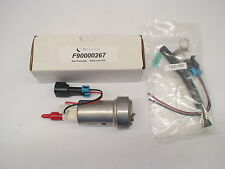 New Genuine Walbro 465 fuel pump with installation kit F90000267. New OEM Walbro parts. New OEM Walbro/ TI parts. Srt4 neon moded canister with walbro 450 pump installed. I can also build full kits. MPN ITP111. Part_Number ITP111. Manufacturer Walbro. 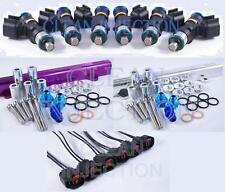 In-Tank Fuel Injection Pump (5 Bar) Kit. Pump:- GSS340. Fittings In (mm):- 8. RRP £ 0.00. Cross Reference Numbers:-. 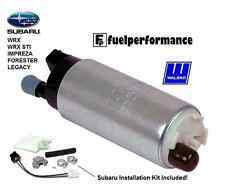 All fuel injectors are covered by our warranty outlined below, unless otherwise stated. We stand behind all of our products with our 18 month/unlimited miles warranty. Fuel Pump Specifications Walbro In-Tank Fuel Pump Series features superior flow throughout a wide pressure range.